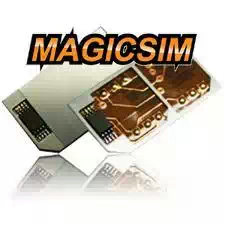 MTN Magic Sim Is Back And Better - The Tech Evangelist! MTN Magic Sim Is Back And Better - The Tech Evangelist! The MTN Magic Sim is back again after the MTN Magic Sim was blocked many of you have been asking me why as if it were my fault lolz! Well, My Guys, You Need Not To worry cos The MTN Magic Sim Setting is Back and Better!!! Follow the below Step and start Enjoying Again!!! Drop Your Comments!!! Note: Before Trying Out This Method, Make Sure That Your Sim Has 128k at the Back of It... If it is Either 64k or 32K, It WontWork!! !